Sure there are over 200,000 apps in Apple’s App Store but I’d wager a majority of them are hunks o’ junk. It wouldn’t be so bad if there was some way aside from reviews to separate the crap from anything that’s remotely useful. The cases when you end up dropping even $1 on a garbage app hurt more than you’d think that dollar was worth. Here are three apps I’d take back if the App Store had any sort of return policy. 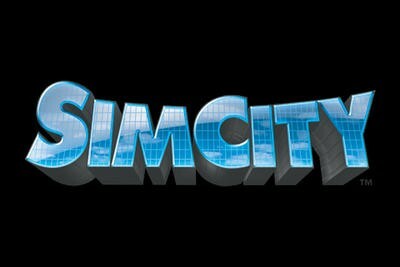 Remember playing SimCity way back during the days of the floppy disc? No? If you missed out on the days upon days of building your virtual city only to wreck havoc on it with a few well-placed disasters, there’s nothing that can fill the void in your soul. Not even SimCity for the iPhone. Back when high quality apps first started making their way to the iPhone, SimCity managed to take advantage of me in a way no other app has. Priced at a whopping $9.99 when it was first released, I had expected the app to bring me back to the good ‘ol days, before graphics really meant anything. I can tell you that playing SimCity on a 3.5” screen is anything but ideal and there’s so much pinching and swiping that before you’ve accomplished anything substantial with your newly created city, you’re battery is likely half dead. The controls are cramped beyond belief and you can instantly tell you’re in for a world of hurt. I can’t possibly recommend SimCity seeing as it’s no longer available in the App Store but if SimCity Deluxe is anything like its predecessor, you’ve been warned! It doesn’t seem farfetched to think you could improve on Apple’s stripped down stock Camera application. After all you’ve got the zooming, picture snapping, and video capture. So when Camera+ went and added that volume button shutter workaround, I knew I had to have it. Boy was I wrong! Running on a 3GS, Camera+ is so terribly slow to load up that the moment you’d have liked to snapped a picture is now long gone. Once you do manage to add a few pictures to Camera+’s camera roll, it’s time to browse ‘em! Kill me. The camera roll only shows you the middle portion of each picture you’ve taken and you’ve got to tap a picture to load its sides. 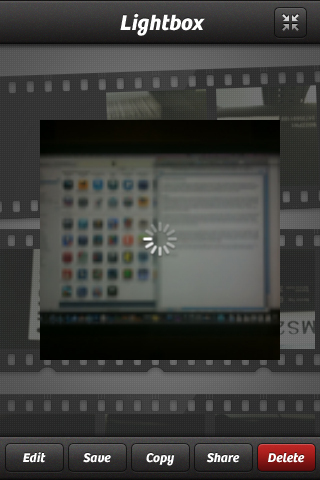 Yes, you’ve got to load the pictures stored in the app, complete with the spinning loading wheel. Navigation through the app will keep you waiting and the app can remain unresponsive for several seconds after you’ve selected something new. I wanted to love it but it broke my heart. 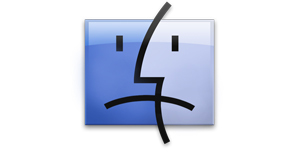 Sad face. One of the many iPad app’s I’ve dropped a few bucks on, Amateur Surgeon is easily the most regrettable of them all. An Adult Swim game, the idea behind Amateur Surgeon is actually kind of fun. You’re supposed to be saving people from accidents with your pizza cutter, stapler, lighter, and various other surgical ‘tools’ to become one of the best surgeons in town. Unfortunately for the game, it’s terribly flawed. Call me crazy but I’m pretty confident I can spot an app developed using Adobe’s CS5 Flash converter. The responsiveness of everything is subpar and objects don’t move freely like they do in so many other apps. It’s like playing a game on a super low quality touchscreen phone. Everything is delayed and feels just as sluggish. If you don’t like Flash games mixing with your iOS App Store games, steer clear of Amateur Surgeon. There aren’t a whole lot of apps I regret buying but these three stick out like sore thumbs. Such potential gone to waste. Have you bought any apps you look back at and regret? Do everyone a favor and let us know what they are in the comments.